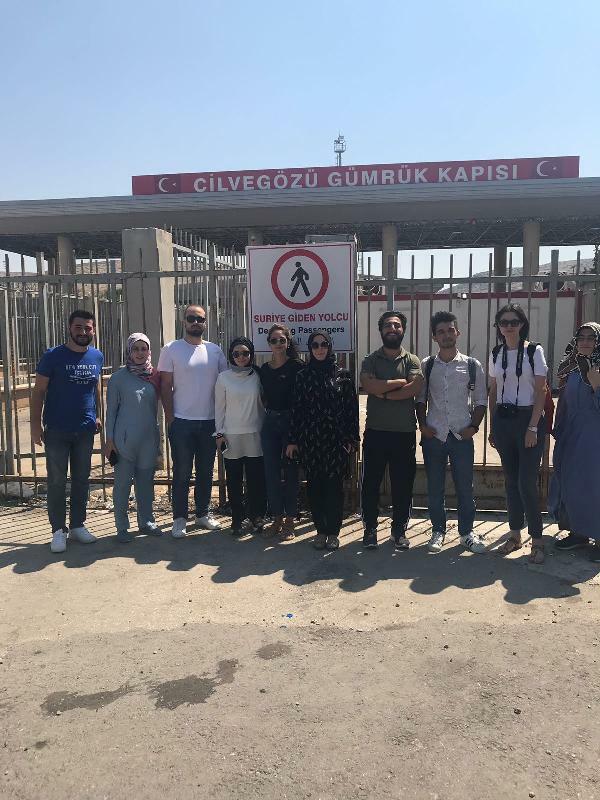 Üsküdar University Faculty of Humanities and Social Sciences Psychology Department Teaching Assistant Şehadet Ekmen and her students became the subject of the British ChangeMarkers journal as regards to the visit they did to orphanages in Hatay. Şehadet Ekmen who has been conducting fieldwork with refugee orphan children in the Hatay region for 4 years, stated, “I observed some problems with children one day while working in this field. The children were introverted and did not speak to anyone. We wanted to do something different and we conducted group therapy by putting cream on children. Visible developments were observed soon after. Dormitory managers said that serious changes occurred in children, and they had higher confidence”. Ekmen also included the students of Üsküdar University to this project as they visited Humus orphanage together and performed group therapy to the children. Ekmen shared that this study became a subject in ChangeMakers in UK at this point. She continued, “The journal presented the news as an unprecedented treatment method to refugees who experience war trauma. Currently, UK wants to join our project”.